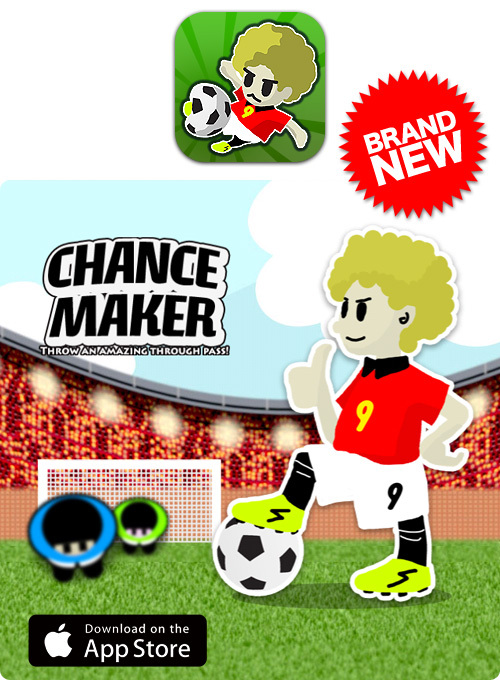 It's a whole new football action puzzle game! Read the movement of Tony and the defense to make a perfect assist. Turn your challenges into opportunities. Bring your team to win with your great passing skills! Experience this new game that no one has never seen before now! 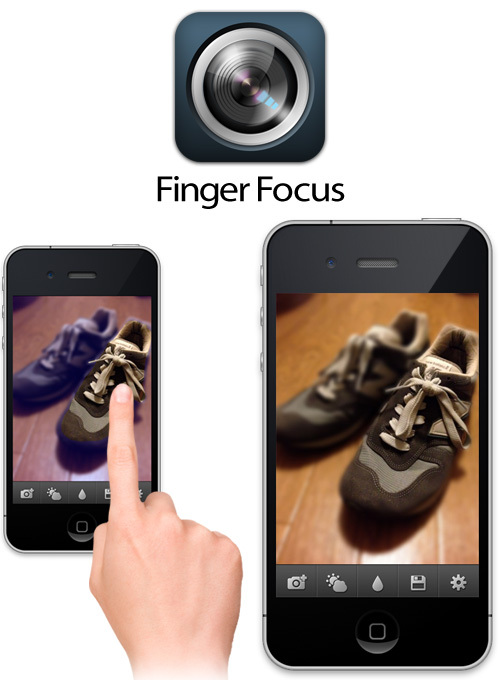 Finger Focus allows you to create blur effects on your photos just by tracing your finger through the photo. 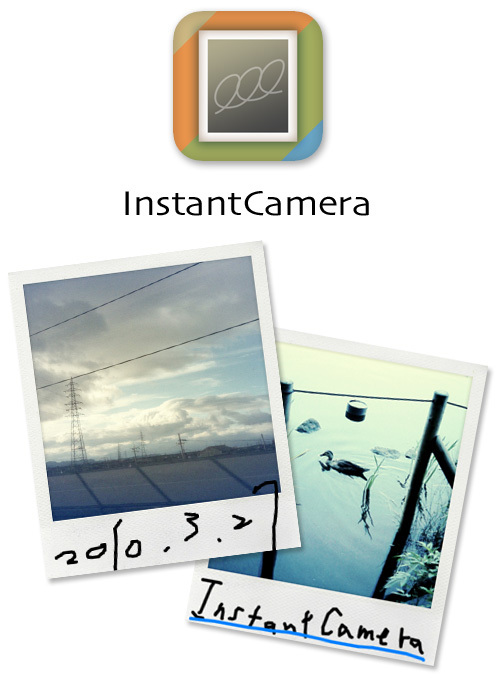 InstantCamera allows you to create instant camera-like images on your iPhone. Take a picture and add hand written notes and drawings on it! 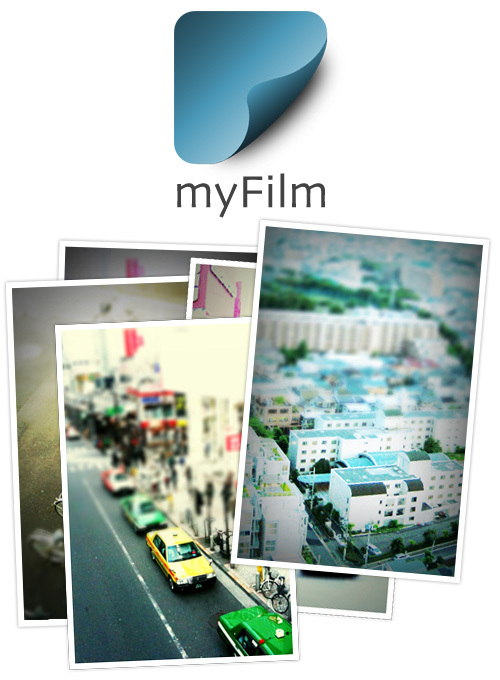 myFilm allows you to take artistic pictures just like the toy camera or miniature style photos with simple settings. BIG SHOW allows you to enlarge an image to become the maximum screen size. For instance, you can zoom up an eye on a portrait image to check the details. Or, in a landscape photo, you can even read the texts on a distant sign as if you see it through binoculars. 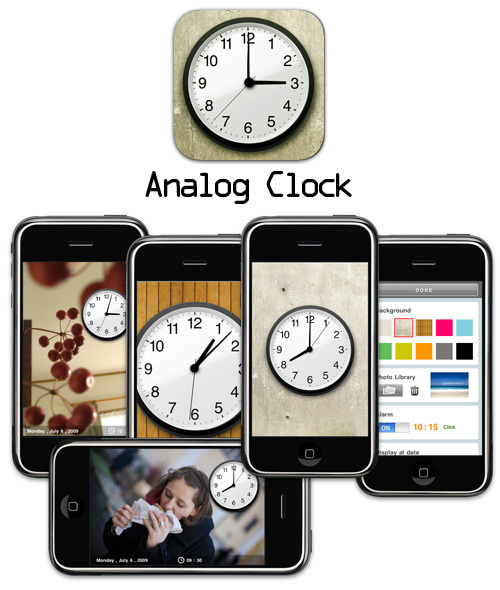 Why don't you zoom up your favorite pictures and enjoy watching the details on the beautiful iPhone or iPad display? You may discover something you didn't notice before. 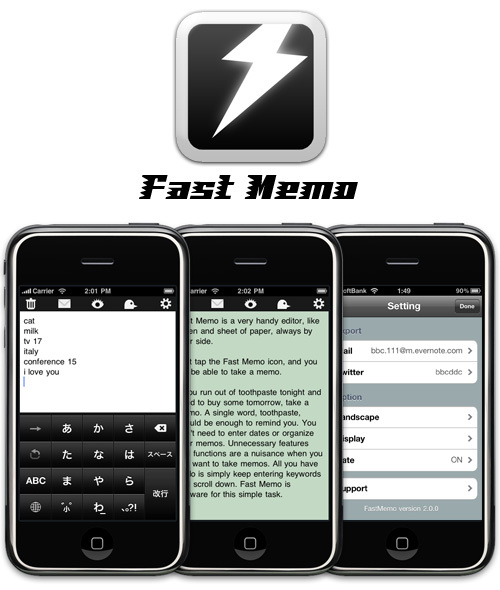 Fast Memo is a very handy editor, like a pen and sheet of paper, always by your side. Just tap the Fast Memo icon, and you will be able to take a memo. If you run out of toothpaste tonight and need to buy some tomorrow, take a memo. A single word, toothpaste, should be enough to remind you. You don't need to enter dates or organize your memos. Unnecessary features and functions are a nuisance when you just want to take memos. All you have to do is simply keep entering keywords and scroll down. Fast Memo is software for this simple task. If you need to correct or organize your memos, you can tap the screen twice to email your memos to a registered email address. Then you can correct or organize your memos on your computer. If you have any inquiries or requests, please email us. We also welcome reviews of Fast Memo. 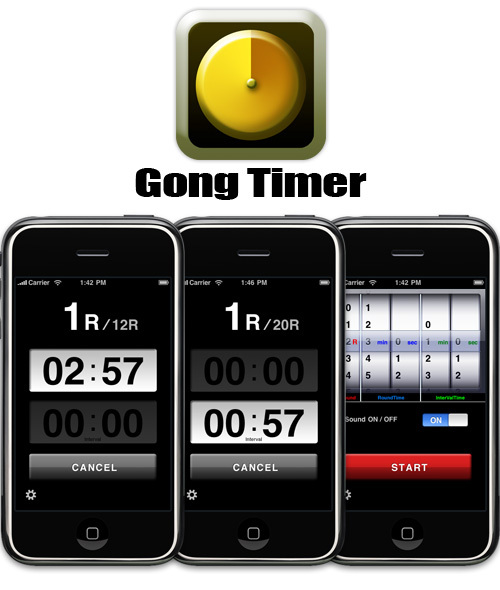 It is a timer that can set the interval and the repetition. - It is possible to choose from Photo Library. - Expansion reduction of clock.